1. Hitler was really called Schicklgruber. Would Germans have been prepared to greet each other with a hearty ‘Heil Schicklgruber’ every day? Could Hitler have become a dictator if he had used his real name, Schicklgruber, or would this have been just too ridiculous aname for a dictator? These are the kind of questions that continue to be discussed regularly on internet discussion sites. They are, however, historically pointless questions, as Schicklgruber never was Hitler’s name. Hitler’s father had been born out of the wedlock to Maria Anna Schicklgruber. Yet he had changed his name to Hitler, the name of his step-father, who by all likelihood also was his biological father, well before Adolf Hitler was born. While the claim that Adolf Hitler was really called Adolf Schicklgruber is historical nonsense, it is nevertheless telling that people continue to spread the claim. It points to the urge of people to turn Hitler into an object of ridicule. 2. Hitler had a Jewish grandfather. The idea that the nemesis of the Jews of Europe was, according the logic of his own Nuremberg laws, a ‘quarter-Jew’ himself dates back to the attempt of some of his opponents to prevent Hitler from coming to power. As Hitler’s father was born out of wedlock, the claim was that Hitler had been fathered by the head of the Jewish household for which Hitler’s grandmother Maria Anna had worked for a while. If the results of the unethical DNA testing of Hitler’s Austrian and American relatives, carried out a few years ago by the Belgian journalist Jean-Paul Mulders, are to be trusted, we now finally know for certain that the step-father of Hitler’s father was indeed his biological father and therefore Hitler did not have a Jewish grand-father. Yet what may be more important than the question of whether objectively speaking Hitler had a Jewish grandfather is what Hitler himself thought of the matter. It is likely Hitler feared being the grandson of a Jew, as he seems to have commissioned Hans Frank, his chief jurist, to look into the claim that he had Jewish ancestry in 1930. 3. 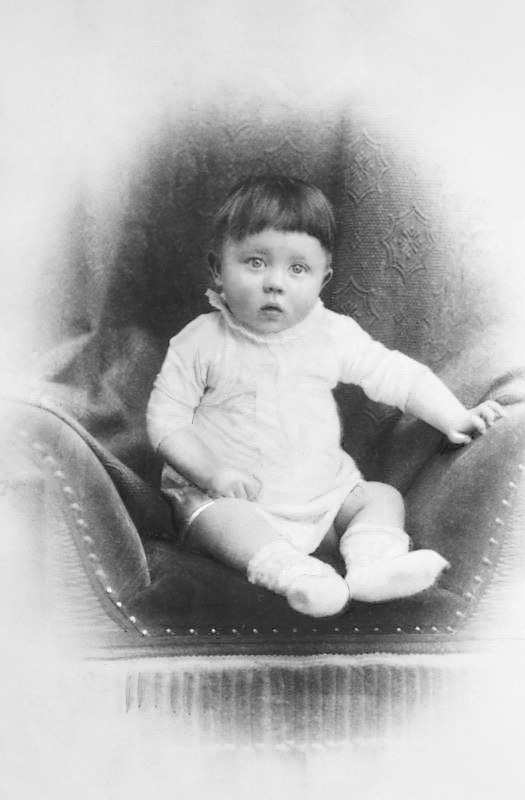 Hitler fathered a child in World War I before losing one of his testicles. Another ‘fact’ which was exposed as untrue by Jean-Paul Mulders, if his DNA testing is to be trusted, is the idea – only revived by a French news magazine last year – that Hitler fathered a child with a French woman during the First World War. Most other evidence also suggests that Hitler was neither heterosexual nor, as some claim, homosexual but asexual. Then again, German authorities seem to have made payments to Hitler’s French family during World War Two which is odd if no relationship of any kind had existed between Hitler and the mother of Hitler’s purported son. The belief popularized by an English Second World War rhyme that Hitler had only one ‘ball’ was recently claimed to have finally proven to be true as a result of newly available testimony of a German medical orderly who claimed to have treated Hitler after being wounded in his groin. However, nothing in this story really adds up. 4. Hitler survived World War II. If we are to believe recent news reports, Adolf and Eva Hitler escaped from Berlin in the eleventh hour, as the Russians were closing in. On board a submarine they made their way to Argentina, where they lived happily ever after until Hitler died of old age in the 1960s. The Hitler-escaped-to-Argentina story is only the latest tale in the saga that has tried to explain why, in 1945 and after, no Western investigators managed to locate Hitler’s corpse. Yet eyewitness testimony of several people exists that confirms that Hitler committed suicide and that his body was soaked with petrol before being burned. Furthermore, parts of Hitler’s skull and teeth are almost certainly held in a Russian repository. Even in the absence of eye-witness testimony and forensic evidence, Hitler’s psychological make-up makes it implausible to argue that he would have wanted to continue to live after his downfall at the hand of the allies. 5. Hitler himself was the most significant creator of untrue Hitler facts. Thomas Weber teaches European and international history at the University of Aberdeen and directs the Centre for Global Security and Governance. He is also Fritz Thyssen Fellow at Weatherhead Center for International Affairs, Harvard University. Since earning his DPhil from the University of Oxford, he has held fellowships or has taught at Harvard University, the Institute for Advanced Study in Princeton, the University of Pennsylvania, the University of Chicago, and the University of Glasgow. He is the author of Hitler’s First War: Adolf Hitler, the Men of the List Regiment, and the First World War (2010). Haha Hitler was a “pathological liar”? Sounds like “psychological projection” to me. And the story is Hitler flew in an airplane to Argentina, not by uboat. I am amazed (no, stunned really) by the abject failure of logic when it comes to historical fiction peddled today by (so called) educated men. Like the comments about the perception of the nazis is still dominated by thier propaganda. One of the myths most often perpetrated is that Hitler had the “short man’s complex.” Thing is, Hitler really wasn’t short; though I went through most of my life thinking he was about 5’6″ or 5’7, he was actually 5’9″.